Miami has had a love affair with the Vagabond since the 50s, but like in every relationship there comes a time where there is a need to reignite the flame; cue in last year’s revamp of the iconic hotel’s restaurant Vagabond Kitchen & Bar. Today, the team behind the former Rat Pack hangout is taking things a bit further with the introduction of Jazz Fridays, an ode to good food, lively ambiance and fine tunes… a match made in culinary heaven. 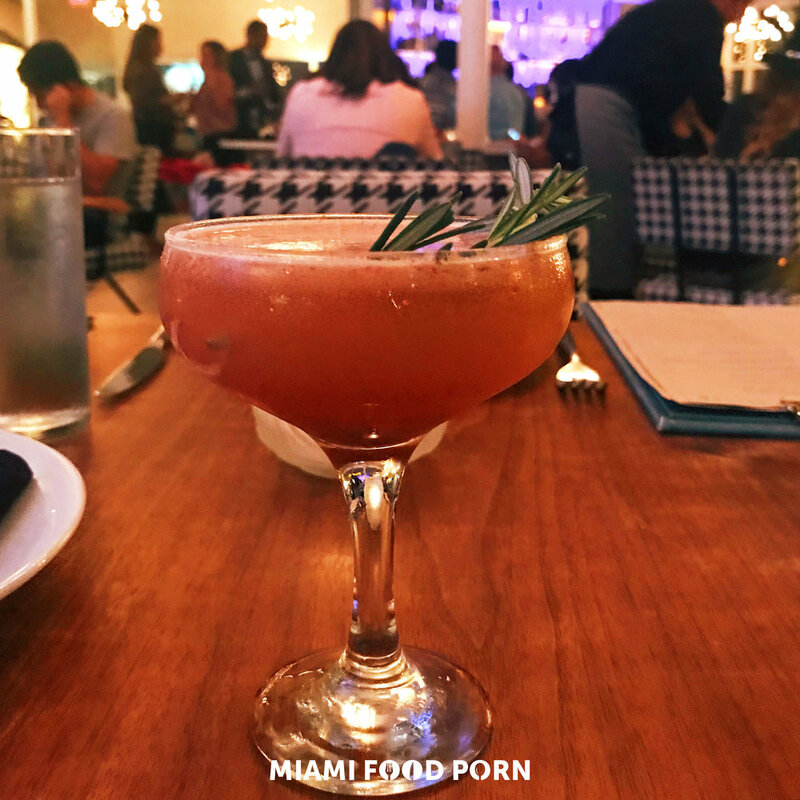 The MiMo District restaurant also offers late night Happy Hour Tuesdays through Sundays from 5:00 p.m. - 8:00 p.m., and we all know Miamians love their booze. I stepped in on a Saturday night a little after 7:00 p.m. and found myself transported to a Mad Men-esque set– soft lights, eclectic furnishings, a groovy soundtrack and an even groovier crowd. The scene felt alive and my first drink, the pretty to look at and even better to savor “Invite Only,” eased me in just fine. The eatery debuted Jazz Friday Nights this November and according to management the overwhelming response made it a permanent fixture. Think jazz fingers and snaps but also covers of Purple Rain, My Girl and Me & Mrs. Jones…but what’s Miami without a little nostalgia. There’s a sentimental twist to the food too. Chef Abel Veulens, the Cuban American young Chef who’s led the kitchen for the past four months, has incorporated island staples like lechón (crispy pork belly), tostones (plantains) and fresh Floridian shrimp ceviche. Do yourself a favor and try all three, including the Florida snapper with charred scallion and smoked paprika oil. Vegetarian options like cauliflower steak are also available. The connection between music and food has been explored from many angles and according to research it makes us eat differently, and dare I say consume more. I am sure the folks at Vagabond Kitchen & Bar dig that tune and see an improvement in sales; tables were full until close to midnight. The next time you’re looking for a cool, laid-back Saturday night spot, swing on by this MiMo gem.